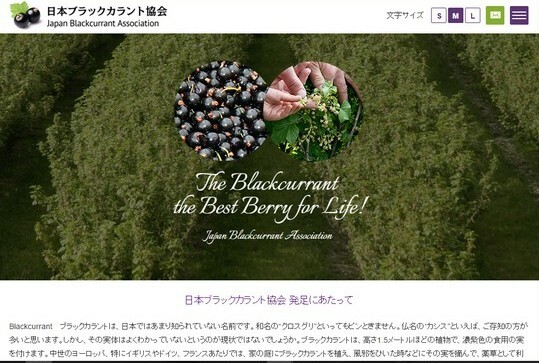 The Japan Blackcurrant Association has joined the IBA! With a blackcurrant growing surface of 7 hectares, Japan is definitely not the world’s biggest blackcurrant growing country. But the Japanese know well about the wonderful potential of the blackcurrant: research has been conducted in Japan about the benefits for eyesight, and nutraceuticals containing blackcurrants are frequently being used for this purpose in Japan. They are produced and sold by one of the IBA sponsors, Beneseed – and it is also this company which has created and is representing the Japan Blackcurrant Association (JBA). The JBA has selected the former General Manager of the IBA, Bill Floyd, as their advisor. We wish them great success and welcome them very warmly in our blackcurrant family!